“Doggone Adorable” may be our most-entered category, but this competition is about more than puppy love, for sure. Once Seven Days staffers selected finalists from the 250 entries to our pet photo contest, more than 1500 readers voted, via Facebook and Survey Monkey. It can be hard to winnow down the images of awww-some fuzzy, furry or feathered buddies, and sometimes their human companions are left incredulous not to be in the winners’ circle. “How could you not pick [name deleted to protect the innocent]? !” protested one pet owner. “He’s so cute!” No doubt. The animals are probably more interested in kibbles than in contests, not to mention better humored than their humans. Either way, there’s no question that these pets are adored. All of them are special, but only one could be “best” in each category, and you can see and read about the winners here. Thanks to Play Dog Play of Burlington, each will receive a $50 gift certificate. Critters, we predict more toys in your future! 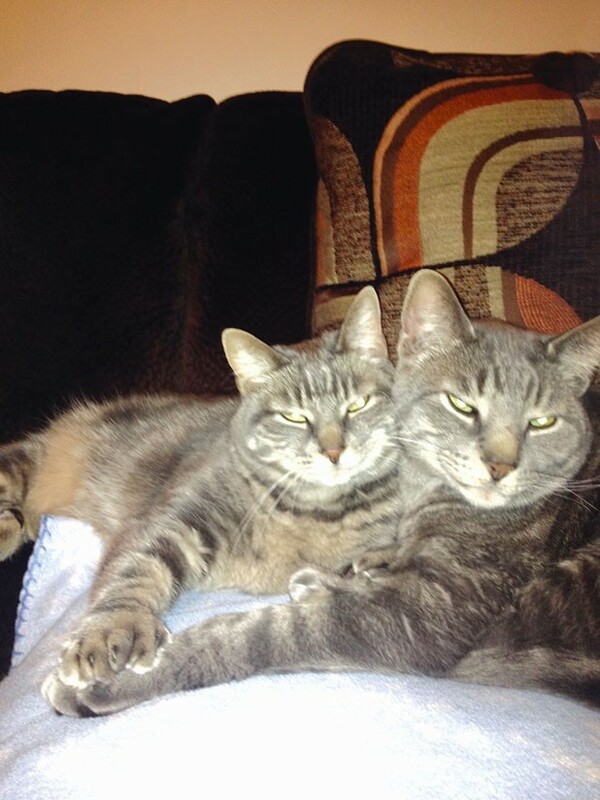 Brother and sister Clyde and Lucy are “best buddies,” according to their owner, Nicole Zarrillo of Milton. They play together all the time and love to cuddle, she says — but sometimes they fight, just like human siblings. Clyde, the bigger of the two, often knocks Lucy around, their mom reports. And Zarrillo says she has to monitor the cats during mealtimes because Clyde sometimes tries to push Lucy out of the way to get more food. But Lucy has her tricks, too: She’ll sneak up on Clyde, coming around a corner “to get him on the sly,” Zarrillo says with a laugh. Zarrillo confesses that she often roots for Lucy in her stealth attacks. “It’s only fair, right?” she points out. Runner-up: Zoe and Alice, dogs owned by Michael Muir of Proctor. When people see Greg Anderson walking his dog, Enzo, around Burlington, their faces light up. People have even been known to say, “My day was going bad until I saw this little guy,” Anderson relates. 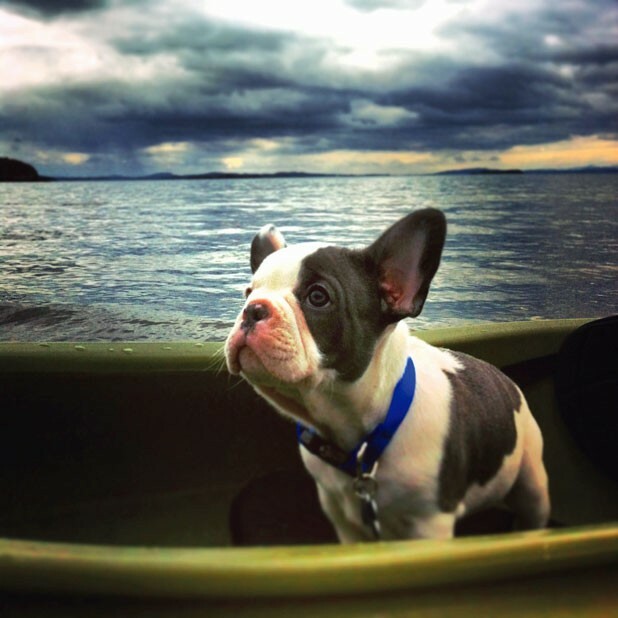 Enzo is a blue pied French bulldog — the rarest coloring — and is just 4 and half months old. Anderson plans on training him to be a therapy dog — his previous dog was certified — so that Enzo can “make people have better days,” he explains. Not to worry: This pup gets to enjoy himself, too. Enzo often goes out on Anderson’s boat — he even has his own life jacket. Runner-up: Giuseppe, a dog owned by Virginia Lane of Colchester. Jane Brown of South Burlington dresses up her dog, Tucker, for Halloween and Christmas each year. 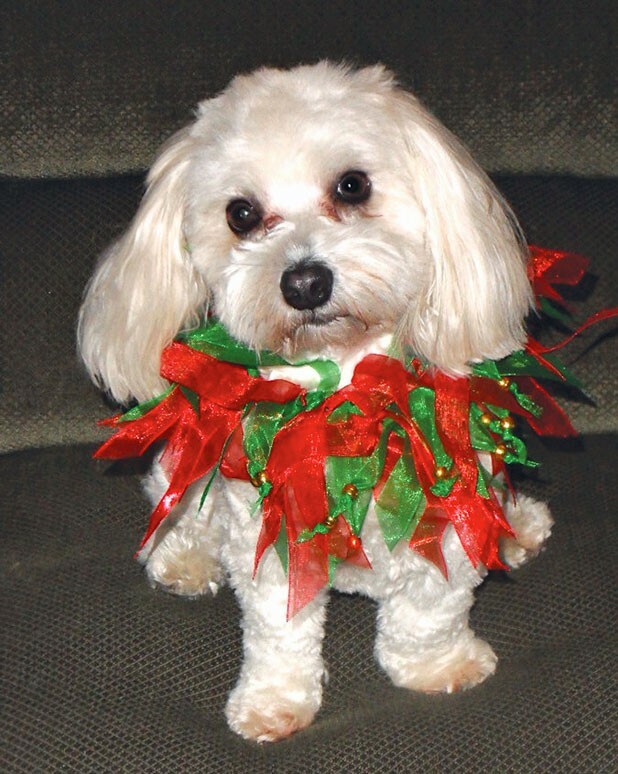 The maltipoo — that’s a cross between a Maltese and a poodle — has masqueraded as a devil, a bee and Santa Claus. Brown describes one Halloween when a little girl came to the door dressed as a bee; so was Tucker, and the two had their photo taken together. Does he like wearing costumes? “He doesn’t mind too much,” Brown says, and adds, “A hat isn’t his favorite thing.” But, she says, everyone loves Tucker so much when he’s dressed up. Runner-up: Gunther, a dog owned by Debbie Girouard of St. Albans. Runner-up: Damballawedo, owned by Trevor Chadwick of Waterbury. Lucy Kraus-Cuddy, 10, of Burlington got her two guinea pigs at the Chittenden County Humane Society. She says 4-year-old sisters Greta and Angie are “really cute and cuddly and fun to be with. They like to nuzzle against my face.” Sometimes she takes them outside, where they like to eat grass — but may get nervous and hide. 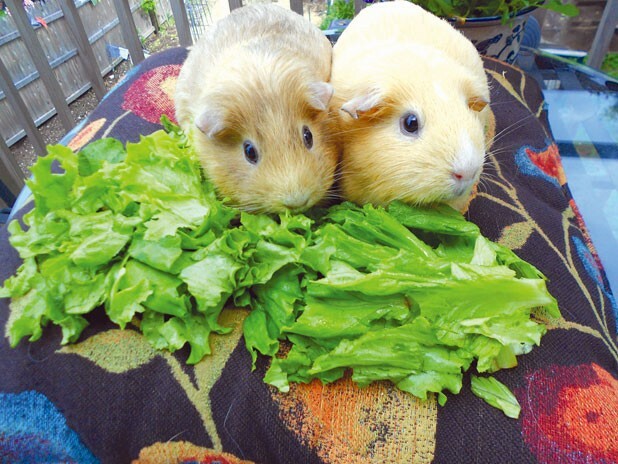 In their cage, Greta and Angie like to eat spinach, red peppers and hay. While the little creatures have competition for attention — the family owns 11 pets between two households — Lucy says she plays with them a lot. “They’re very social animals,” she says, and advises that anyone who wants a guinea pig should get two, so they have companionship. Greta and Angie “like to be read to,” Lucy reports. “They recognize me and start squealing.” The only downside? “They smell a little bit, so we spray [their cage] with all-natural air freshener,” she says. Runner-up: Lady Gaga, a hen owned by Meredith Breiland of Milton, and her diva chick friends. 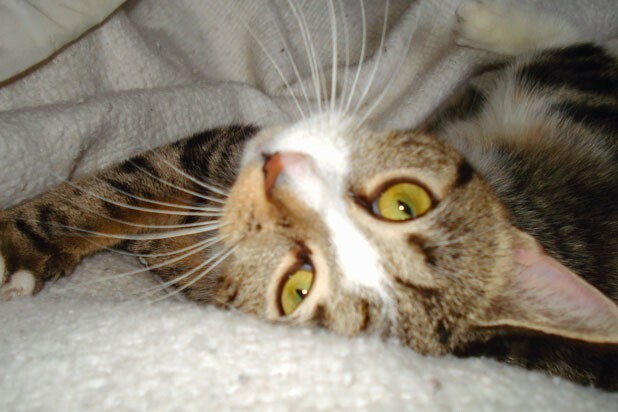 The local humane society found Herbie in Milton as a stray with an injured leg. The staff was unable to rehabilitate the leg and had to amputate it. Jessica Smith of Winooski, who adopted Herbie after the amputation, says her pet is still quite mobile. Kids are often concerned when they see he’s missing a leg, Smith reports, so she explains to them that Herbie is happy and healthy even with three legs. 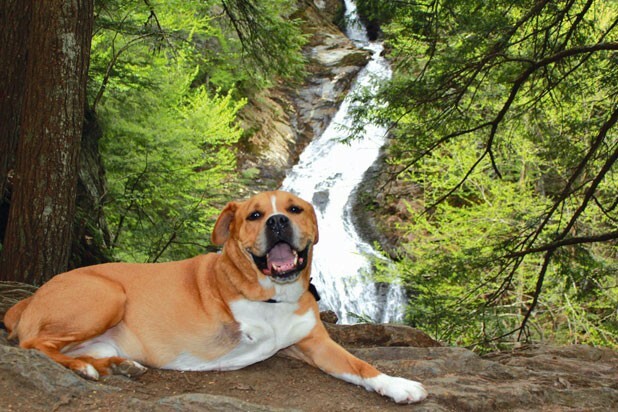 He can go hiking (as in this photo of him in Stowe), and he’s perfectly capable of snitching food from the kitchen counter. Runner-up: Sebbie, owned by Caleb Ladue of Bridport. The original print version of this article was headlined "Critters on Camera 2013"